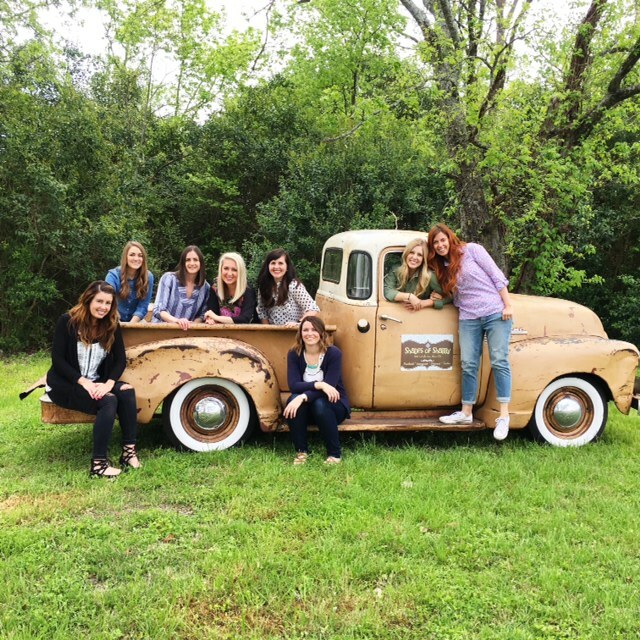 A few weeks ago I went on a girls trip to Waco, TX with an amazing group of women (from left to right: Jen from Tatertots and Jello, Sarah from Pretty Providence, Maria from Two Peas and their Pod, Jenny from Picky Palate, Kristyn from Lil? Luna, Kelli from Lolly Jane, ME!, and Kristen from Capturing Joy (Yes, THREE Kriste(y)n?s!!! If you ever have watched Fixer Upper, then you know exactly what I’m talking about. If you haven’t watched it, I highly suggest it! (You can find the first 2 seasons on Netflix right now). I might be a tad obsessed with Jo and Chip from Fixer Upper and anything to do with them. So if you can imagine our first few stops were the Magnolia Market and other things they feature on their show. We got a special tour with the head of the PR department of the Magnolia Market. We were able to go inside Chip’s office and then onto the roof of the store (which happens to be an area where they can throw little parties.) Down below where the store it they have a huge grassy area with games, activities, and one of my favorites: FOOD TRUCKS! If you watch the show you might see Clint (Chip and Jo’s wood man!) Now, if you are wondering, Clint is one of the kindest people I have ever met. He showed us around his shop and told us the whole story of how he started. I would highly suggest going by his shop and store front and you will fall in love with everything he and his wife have in there! 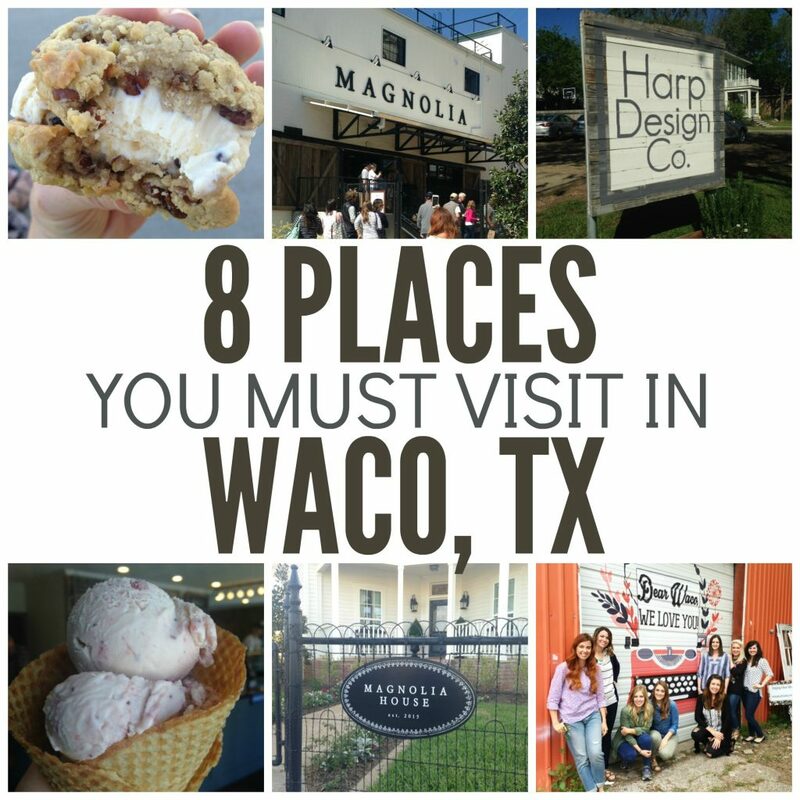 Being a food blogger, and loving almost ALL food, I’m sharing some of my favorite spots to eat in Waco. This one is called Pokey O’s. 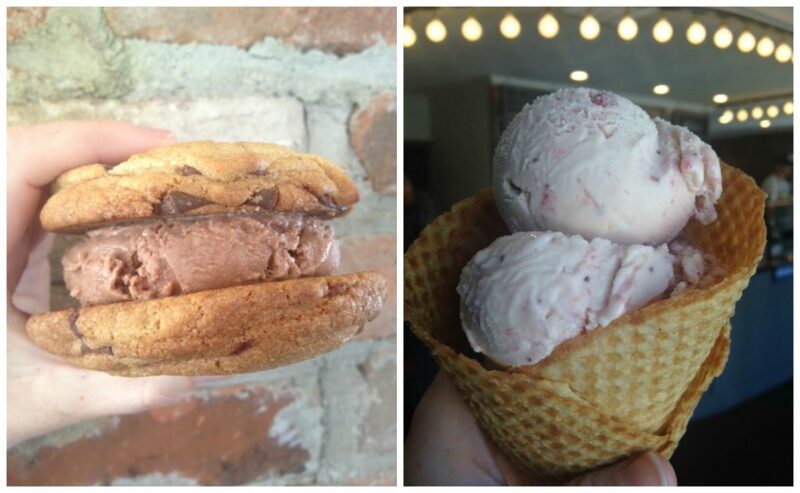 They have THE BEST ice cream sandwiches I have ever eaten. The only way to find out where they are parked is to check their Instagram page or Twitter. If you go to Waco – be sure to look up @Pokeyoswaco. It will change your life. 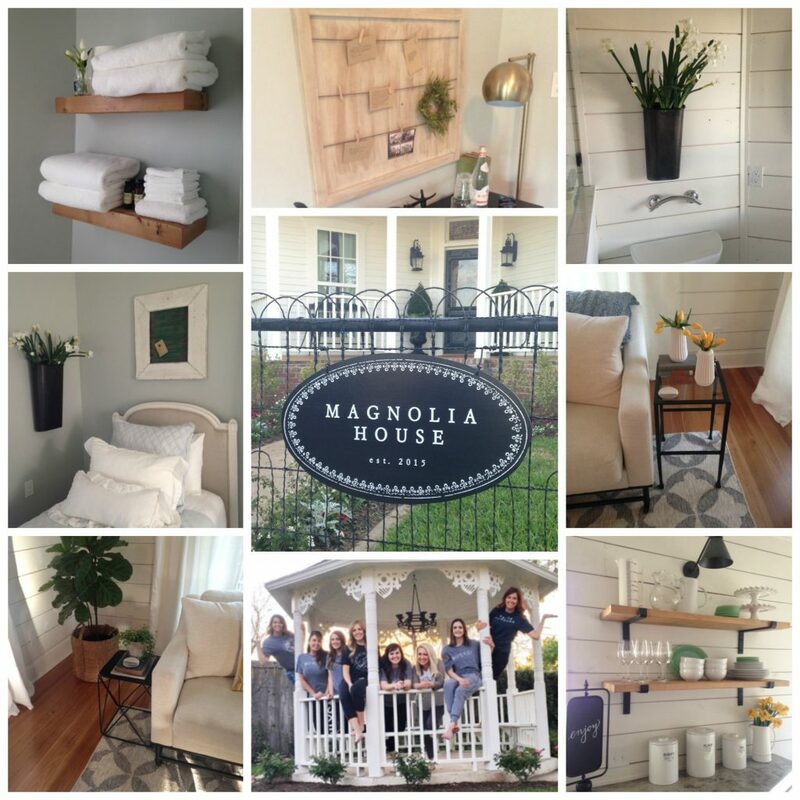 On Fixer Upper they “fix up” the Magnolia house. It opened in December 2015 and it is open for guests to spend the night. Kristyn from Lil’ Luna signed up as fast as lightening as soon as the Magnolia House registration opened and she was able to get 2 nights here. It was like a dream and absolutely beautiful inside. I think I took pictures of every little corner. Oh Lula Jane’s. I seriously dream about her desserts. She is the sweetest nicest lady and boy does she know her way around the kitchen! If you ever go, you must try the strawberry cake with the pink frosting (middle picture). Oh how my mouth is watering! From cakes to pies, to cookies, she has it all! Just be sure to get there early because she sells out every single day! Waco is full of the cutest antique shops . I HIGHLY recommend driving there or having a way to get things home because you will fall in love with many items! One of our favorite stores is called Shades of Shabby. 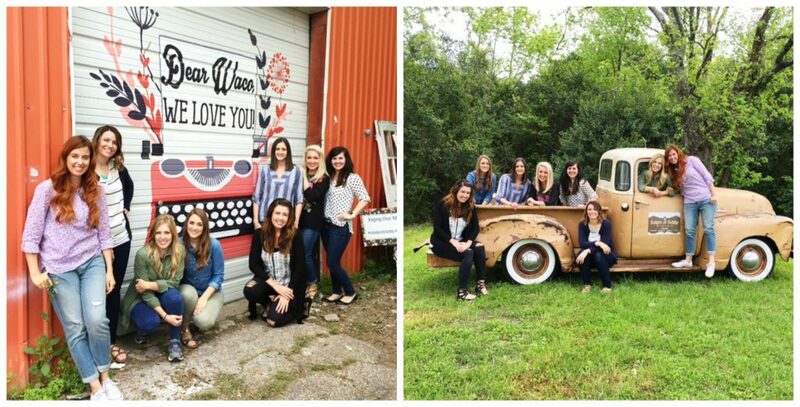 It has a darling painted wall on the side of the building and a cute truck that they will let you take pictures in! I know what you are thinking. Fast food is one of your favorites? Well, I’m here to tell you that you MUST try Torchy’s Tacos. It is located around the corner from the Magnolia Market and the tacos are amazing! I loved Waco so much that I am headed back in June and bringing my kids with me. Here are some of the activities that are on my to do list! I’m already counting down the days! and many more Food Trucks! Hi! Um, I think you might want to change Chip?s name to Clint in #2. Right? Oh man - thank you. I can reread it and reread it and a few things still slip through! Thank you! Ditto on Mayborn Museum. I bought a season pass so I can take my grands any time. Be sure to take your children to the Bear Pit on the campus of Baylor University so they can see the bears. Also if they are young enough to still enjoy rides like little boats, planes, merry-go-rounds, small ferris wheels, Lions Park has Kiddieland that is fun for littles. No scary rides and Putt-Putt is right next to it. Go shop Spice Village! Not nearly the line of Magnolia and hundreds of shops by different vendors. A huge assortment of fun stuff. Also, poke around Cameron Park a little (but be careful of hikers/bikers) and go see Lovers Leap and Jacob's Ladder there. It's one of the nation's biggest inner-city parks. My first thought on this article.. SPICE is the absolute best place in Waco! There is also a great boutique, "Roots" around the corner from spice. Lots of cute things! Also World Cup Cafe and Fair Trade Market 1321 N 15th St has the best food and a fair trade shop. The best BBQ around is Uncle Dan's. Go try it! Shop at Spice! The family lived the Cameron Zoo and the Texas Sports Hall of Fame! The coffee shop next to Heritage Creamery that is often featured in Fixer Upper is called Common Grounds. The BBQ place referred to in the comments is Vitek's (not Vitex, if you happen to be googling that), and the Dr. Pepper Museum and Bill and Vera Daniel's outdoor living history museum is definitely worth your time. About a block from Magnolia's is a great place for lunch, The Backyard. The Backyard is also killing it with sold out crowds for awesome live music. OMG, their lunches are fabulous!! I must second going to Junque in the Trunk! It's the cutest and most affordable furniture rehab shop I've ever been to. Tons of amazing furniture and accents at amazing prices! Waco really is a gem! Thanks for visiting! 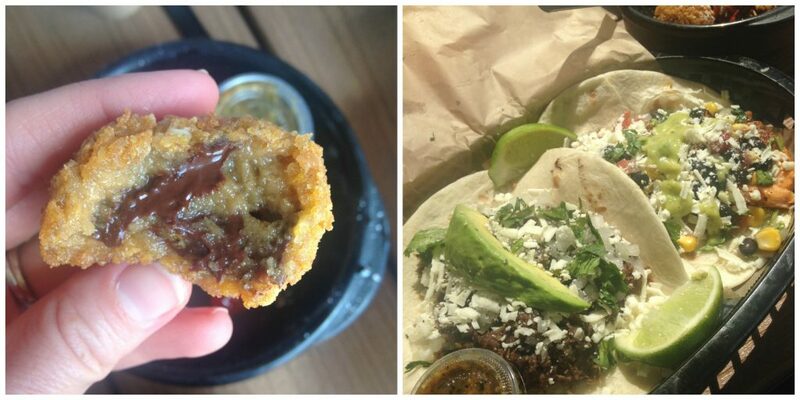 While incredibly delicious, Torchy's is a chain from Austin. For true local favorites, try George's (home cooking), Bangkok Royal (Thai), Poppa Rollo's or Shorty's (pizza), Cafe Cappuccino (breakfast), Milo (food truck), Cheddar Box (food truck) & Xristos (Greek food truck), Vitek's (BBQ - get the Gut Pak), Kitok (get the oriental fries - burgers/korean [seriously] ) or Dubl R (burgers), Baris (Italian) and Ninfa's (Tex Mex). #2 should be Harp Design Co - not Harper & Co. Next trip, definitely check out Cameron Park Zoo (not Waco zoo), the Farmers Market (LOVE Co-Town Crepes), Common Grounds, Spice Village (boutique), Dr Pepper Museum, and The Findery (boutique)! Also, great, authentic, reasonably priced Italian dining on Austin Avenue and 8th Street at Portofino's - a family owned restaurant, Nicky is chef and owner and there are no freezers... So pasta , meat and veggies are fresh every single day. It is delish! Also, it's across from the Historic Hippodrome Theatre... 100 years old. You can see movies and shows there. Also for more antiques, Cameron Trading Company is about a block down from Portofinos. Go to Indian Springs Park and walk across the suspension bridge a block from Spice along the river. A great place for tossing tortillas off the bridge (a Waco tradition) and taking great pictures for your memory book! You can go down and walk along the river. There are often food trucks parked nearby. I have lived in Waco all of my life (born & raised in South Waco) and I have never heard of a tradition of tossing tortillas off the bridge. That must be a Baylor thing. I am the manager of the Waco Downtown Farmers Market, and SO excited that we are on your list. Please stop by and say hello when you come back in June. Feel free to shoot me an e-mail before you come to town! The zoo here is known as the Cameron Park Zoo and it is wonderful! You also need to visit Spice Village on Franklin street across from the Hilton Hotel. Well, you ladies need to come down Austin Ave a bit farther and visit us at Christi's (my interiors, antiques and gifts boutique) and my lovely French import/antique neighbor, Papillon! Oh... "YES"to the other comments about Common Grounds for coffee -!-and if you'll follow Laverty's On Facebook, plan to come when they're open~ they have the best pickin' place in town!! Waco has SO much to offer! Thanks for promoting our wonderful Waco!! There's a lot more things to do in Waco than most people realize. If your kids (or you) are Texas Ranger fans (not baseball, law enforcement), then the Ranger museum might be pretty interesting for them, and during a weekday, there's always the possibility of meeting an active Ranger. I hate to be a negative Nelly, but I hate Waco! It's super boring, & there's nothing to do here! That's why everyone goes to Dallas or Austin for special occasions (birthdays, anniversaries, etc. ), because Waco is super lame. All of the places listed are boring, & don't interest me. However, I do have to admit that some of the restaurants listed are very good, but every city has good restaurants. FYI: Don't waste your time going to the zoo. You'll walk through the whole thing in about 10 minutes. If you're looking for a great zoo go to the Fort Worth zoo. I am born & raised in Dallas & I prefer the big city. I would move back to Dallas in a heart beat, but my wife & kids don't want to leave. They are all from here, so Waco is all they know. What can I say, I'm a big city guy & I like big city things. I'm sure readers & anyone contemplating making a trip to Waco would appreciate a broad range of opinions about this town. I'm not trying to offend anyone. I just wanted to share my feelings about Waco. I hate Waco, & I wouldn't waste my money visiting here. Moved to Waco 6 months ago and love it! We try to visit a new place in Waco or the surrounding area ever Saturday, but it will be years before we get through it all. Coming from overly congested Southern California, Waco is such a breath of fresh air! The Silos are fun way to spend a few hours and walking along the river and bridges at Indian Springs Park is scenic and a great way to log in a few miles. We actually watched a family throwing tortillas off the bridge, lol. Cameron Park is a great drive and the zoo is next on our list. If you like vintage and antiques, there are big antique malls and little shops tucked away in every town. This summer we are looking forward to hiking, fishing and boating as well as checking out more of the great restaurants. By far the nicest thing about Waco is the people. Down to earth and super friendly. And yes, the gut pack at Vitek's is worth the trip! I have lived in Waco all my life and wouldn't want to live anywhere else. I have worked downtown for the last 46 years and am excited about it coming back to life. I noticed last week that a couple of parking lots (owned by others) close to Magnolia are now charging $10 to park. For those of you who are coming to visit Magnolia, skip those and come park and visit downtown Waco. Austin Avenue is only 4 blocks away from Webster. Yes you have to cross the railroad tracks, but as long as a train isn't coming you are OK!! I would love to plan a sisters trip to Waco too. Did you guys fly into Dallas? And from there did you drive to Waco? Thanks for all info. Kristen lives in Dallas, so she drove from there. I grew up in Miami, FL, have called Waco home for almost 9 years now and absolutely love it! There is always something to do and we could not be happier! I miss the beach, but hey, there's always the small sandy beach and great playground at Speegleville Park on Lake Waco :) The city also has quite a few splashpads/spraygrounds around the that we love to visit in the summer! There are so many things to love about this city of mine, so glad you have enjoyed your visit!! Waco is such a great place to live- thank you for highlighting our fun city! Just a note- it's Harp Design Co. not Harper and Co. The coffee shop is called Common Grounds - if you're a coffee person, definitely try Dichotomy Coffee and Spirits as well. Really great atmosphere and espresso. Other places to try, as others have mentioned - more food trucks on University Parks & Franklin, Taqueria Zacatecas and Health Camp (burgers and shakes) on La Salle, and Bari's Italian on Valley Mills. Cameron Park is beautiful and also check out Armstrong Browning Library on Baylor campus; it's consistently rated as one of the most beautiful libraries in America. Instead of the Cotton Belt Trail, do the River Trail in Cameron Park. Cotton Belt is great for those of us that live there, but Cameron Park is just beautiful...more of a hiking trail! Don't forget to visit Dichotomy Coffee and spirits on Austin avenue. They are the best coffee shop!!! And often have a food trucked parked in front. They are also at the Waco farmers market on Saturdays. World Hunger Relief, Inc. is a non-profit Christian organization in Waco. They operate a 40-acre training farm open to the public that's only EIGHT miles from the Silos! It's a quaint environment where you're free to look around and see farm life from the kid goats to the interns who live and work there. THIS Saturday April 30 there will be a FREE Spring Farm Day (9am-3pm). Fun for the family or a day out with friends. There will be an artisan vendor area, hay ride tours of the farm, goat milking demonstrations, farm-fresh lunch, and more! It's a great activity to pop in on during your Saturday activities with the family or a group of friends! Check out Sironia on Austin Ave too!